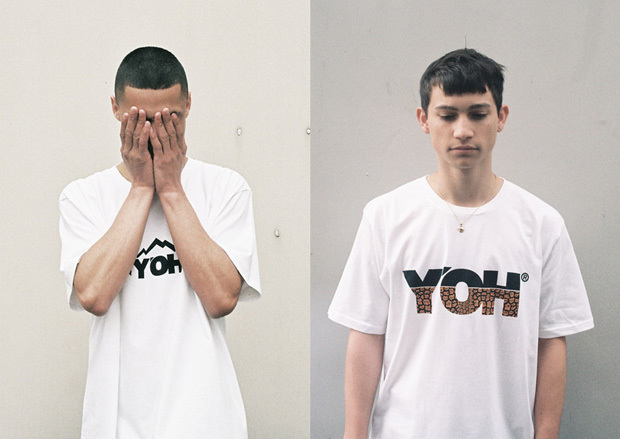 Kara Messina’s London based streetwear label Y’OH is back with a small collection of t-shirts to compliment their Spring/Summer 2012 range. As it fast gains a solid reputation and a fairly signature image, Y’OH is really starting to find its groove in streetwear. Taking an influential spread from tribal prints recurrently found akin with high-end European labels, to mountaineering outerwear silhouettes. Sunday saw the drop of four new t-shirts to add to the Summer collection. While we see the original logo print giving a nod to the outerwear side of the brand, the rest of the collection runs slightly in the vein of old school high-end designer sportswear. The four designs come printed on 100% cotton white t-shirts, not too much option in terms of colour, but I personally wouldn’t want much more for the Summer months anyway. Judging by the amount of traffic that crashed the Y’OH webstore when these were released, they won’t stick around long, so be quick.